A car as special as yours deserves a special kind of insurance policy. That's where Adrian Flux can help. With over 40 years experience in arranging insurance for every kind of car imaginable, we will tailor a policy as unique as your vehicle. We know that owners of American cars are not like other motorists and the cover we arrange takes this into account. We have Special schemes with fantastic rates for all American cars, including US classics. Members of most owners' clubs and forums can also benefit from discounts of up to 15%. We offer flexible and competitive quotes for all circumstances, sourcing the best available scheme from amongst the many offered by our panel of over 40 insurers. 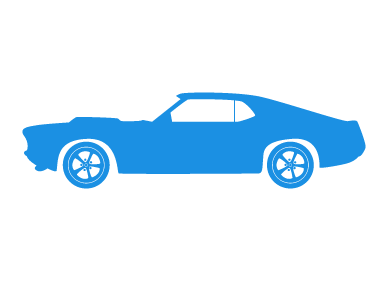 Many insurers run a mile from cars that were not built for the UK market, but, as experts in insuring all import cars, you will find that we probably know more about American cars than any of our competitors. We can arrange great cover whether your American dream-car is a Ford Mustang, Lincoln Continental or even a pink Cadillac. Our staff are all seasoned insurance experts and will calculate your premium individually, using their expert knowledge of the many insurance schemes on offer. When you call us you will be speaking to a knowledgeable enthusiast, based in the UK, rather than a computer rate from a foreign call centre, which doesn't know a Cadillac Eldorado from a Chevy Corvette. Along with our tailor made American schemes we believe we offer the best quotation service around. ** Sample quotes are for comprehensive premiums for a male driver with a clean license and full No Claims Bonus (unless stated otherwise) and limited mileage of 3000 miles. Quotes for 5000 miles would add approximately 15% to the premium. These illustrative quotes, valid as at 29/03/2006, are provided for information only and do not form the basis of any contract or tender.